Spring has sprung can only mean one thing, it's almost the time that clocks go forward. To help remember which direction to move the clocks, you just need to remember the saying, "spring forward, fall back"
The move to British Summer Time means longer, lighter nights - but it will mean you'll lose an hour in bed on the day the clocks change. The UK changes to British Summer Time on Sunday, March 26 at 1am, which means you should put your clock forward an hour. There is another important reason for remembering Sunday, 26th March…it’s Mother’s Day. It’s all very well forgetting to turn your clocks forward, or even your wedding anniversary, but to forget showering your mum with a card, flowers and gifts on Mother’s Day is suicidal! Take a look at Brilliant Wall Art for fabulous Mother’s Day presents and enlightening daylight savings. The first Mother's Day celebrations can be traced back to the ancient Greek Festival dedicated to Rhea, the Mother of the Gods. In England, it was in the 1600s when the phrase "Mothering Sunday" was first coined. In Christianity, Mothering Sunday is the fourth Sunday of Lent. As Christianity spread throughout Europe the celebration evolved to honour both the "Mother Church" and mothers. In the past, Mothering Sunday was a day when servants were encouraged to return home to spend some time with their mothers and families. Typical gifts included a Mothering Cake or Furmety - a preparation of wheat, milk, sugar and spices. In Northern England and Scotland Carlings - pancakes made of steeped peas fried in butter with pepper and salt - was the mouthwatering treat for mothers. Many countries of the world celebrate Mother's Day, but not all celebrate it at the same time. In the UK this year, it is Sunday, 26th March. OK…I‘ve bought the card and flowers, but where do I buy the perfect Mother’s Day gift? Look no further than the Midlands premier wall art and home accessory specialist…BRILLIANT WALL ART. We have many loving heart shaped gifts that are unique, to present many unusual Mother’s Day gift ideas. The Brilliant Wall Art online site has been designed so that products are easy to find using our handy search tool, or you can shop by category, style, shape, or price. Whether it is abstract metal wall art you want or a large contemporary sculpture, we make it easy to find the metal wall art artwork you are looking for. At Brilliant Wall Art customers are the focus and reason for our existence…we aim to provide exceptional customer service so that you will return to our Website time and time again and of course recommend us to your family and friends. The Brilliant Wall Art lowest price guarantee, promises our customers the lowest possible prices on top-quality metal wall art and home accessories. Many stores offer price matching, but at Brilliant Wall Art we offer a lowest price guarantee. Find the exact product online and in stock through another UK store we will match that price upon verification. 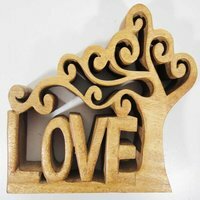 The Love tree wood sculpture is a freestanding ornament in a wonderful design. It measures approximately 17cm (10.5") wide by 22cm (8.5") high by 5cm (2") deep. Aluminium love bookends are polished with an aluminium finish and feature the word love design detail. This is a must for a mum who is a great romantic or book lover. Abstract circle disc mirror metal wall art, with stylish, exciting and functional piece and interlinked discs with a central mirror. It measures approx 13.5cm (5.25") in diameter, has a dark bronze effect finish and mother of pearl leaf detail. The wooden great mum sign, is a printed sign in a vintage rustic style. It is a stunning retro piece finished in various colour tones, in a shabby chic style. Cat family glow dome tea light candle holder, made from porcelain finished in an unglazed matt white and features an etched or moulded design. The design appears to come to life when the translucent porcelain is backlit with a tea light or other light source. There are many more fabulous Mother’s Day gifts here at Brilliant Wall Art, where the price is right. Brilliant Wall Art will be at Worcester City Centre market every Saturday throughout March and April. you have seen the product(s) at a cheaper price and let us do the rest.